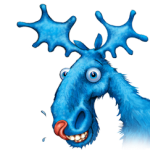 The Blue Moose Graphic Company is committed to ensuring that your privacy is protected. Should we ask you to provide certain information by which you can be identified when using this website, then you can be assured that it will only be used in accordance with this privacy statement. The Blue Moose Graphic Company may change this policy from time to time by updating this page. You should check this page from time to time to ensure that you are happy with any changes. This policy is effective from 21st May 2018. For the purpose of the Data Protection Act 1998, the data controller is The Blue Moose Graphic Company, The Homestead, Park Lane, Charvil, Berkshire, RG10 9TR. We will not sell, distribute or lease your personal information to third parties. We may only disclose your personal information to third parties if we are under a duty to disclose or share your personal data in order to comply with any legal obligation, or in order to enforce or apply our terms and conditions of supply and other agreements; or to protect the rights, property, or safety of The Blue Moose Graphic Company our customers, or others. This includes exchanging information with other companies and organisations for the purposes of fraud protection and credit risk reduction. If you believe that any information we are holding on you is incorrect or incomplete, please write to or email at sales@thebmgc.com us as soon as possible at the above address. We will promptly correct any information found to be incorrect.